A survey of over 1,200 small firms in the UK has found a staggering 20 per cent suffered business cyberattacks in the past year. The British Chambers of Commerce found companies in the manufacturing and service sectors were mostly likely to fall victim to cyberattacks. Businesses with more than 100 employees are twice as likely to be probed by criminal hackers, but sole traders and SMEs are too fragile when it comes to cybersecurity, the BCC say. All businesses will be forced to comply with new regulations coming about in May 2018. The General Data Protection Regulation will increase the responsibility on companies of all sizes to protect customers’ personal data. Firms that don’t will leave themselves open to tough penalties. 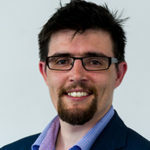 BCC Director General Dr Adam Marshall said: “Business cyberattacks risk companies’ finances, confidence and reputation, with victims reporting not only monetary losses but costs from disruption to their business and productivity.